This week I'm taking a few days off to ski, play with my dogs, visit with friends and family, and generally recharge my batteries. If you're on vacation this week too, I hope that you're having a great vacation. While I'm away I'm rerunning the most popular posts of the year. The selections are based on pageviews during 2012. 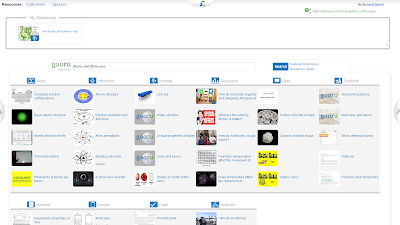 Gooru is a service that aims to provide teachers and students with an extensive collection of videos, interactive displays, documents, diagrams, and quizzes for learning about topics in math, social studies, and science. As a Gooru member you have access to hundreds of resources according to subject areas such as chemistry, biology, ecology, algebra, calculus, and more. Within each subject area you can look for resources according to media type such as video, interactive display, slides, text, and lesson plans. When you find resources that you want to use, drag them to the resources folder within your account. Gooru also offers you the option to add resources to your folders even if you did not find them within Gooru. 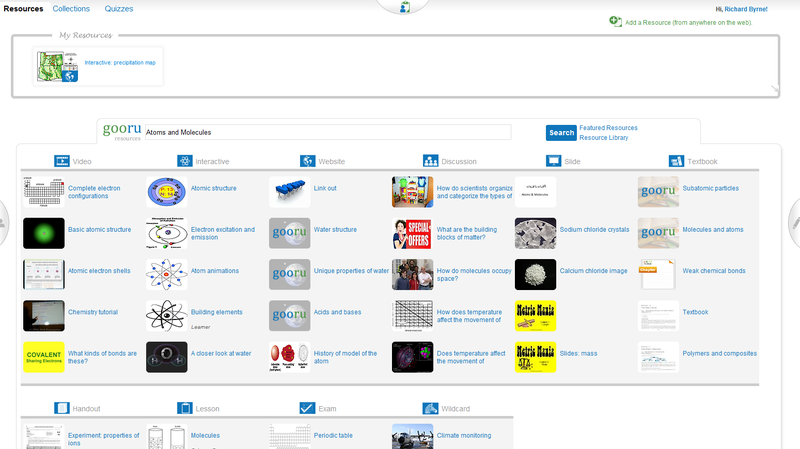 Gooru could be a great place for math and science teachers to locate lesson plans and other materials to use in their classrooms. Students can create Gooru accounts to find useful review materials and take practice tests on the subjects they're studying. Since Gooru launched in February they have added an iPad app too. You can learn about that app here.